This band was already mentioned on here a couple of times when the topic of the 1980's US melodic metal scene was brought up, but I haven't posted any of their two albums yet. 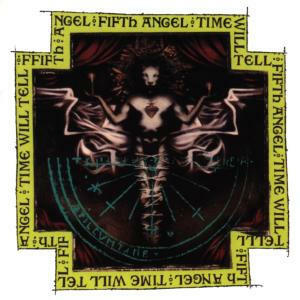 "Time Will Tell" is their second album, released in 1989 shortly before many 80s metal bands (including Fifth Angel) have split up and faded into obscurity. While it's more on the "pop" side of things than their debut self-titled album, I'd still definitely recommend it to the fans of other bands of this kind (i.e. early Queensryche, Hittman, Shok Paris). Like in case with "Steel & Starlight" by Shok Paris, some people might find the second half of this album boring, but the two opening tracks are undoubtedly awesome.